Two dozen of the leading cannabis companies in Canada collectively employ only 11 women on their boards, and most – including the market leaders – have not disclosed written policies relating to the identification and nomination of female directors. An analysis of regulatory filings for cannabis companies traded on Canadian stock exchanges reveals that the ratio of women on marijuana-industry boards is 7%. While that’s a slight improvement from the previous year’s 5%, it is well below the Canadian average of 15%-20%. Of the 154 individuals nominated for board positions in the latest regulatory filings – or those who have since taken up new directorship positions – 11 were women, according to a Marijuana Business Daily analysis. Cannabis boards are growing in size, but the number of women on those boards is not keeping pace. Cannabis market leaders could be doing more to promote gender diversity on boards “because it makes good business sense,” said Deborah Rosati, CEO and founder of Women Get On Board. “The cannabis industry can be role models, and they can make those changes today,” she said. “It has to come from a culture of wanting to do the right thing, and it makes good business sense. There’s a lot of talented and qualified women that can lead and serve on cannabis boards. Lisa Campbell, CEO of Toronto-based Lifford Cannabis Solutions, is concerned there are so few women at the board level across the industry. “I won’t name names, but the top five cannabis companies in Canada need to take leadership on this,” she said. Two market leaders in Canada – Canopy Growth and Cronos Group – have one woman apiece on their boards, even though the number of positions collectively is increasing to 14. 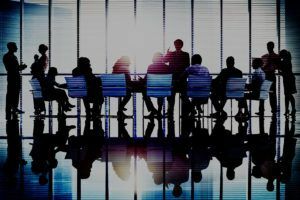 Neither company has disclosed a written policy relating to the identification and nomination of women directors, according to a recent study by the Canadian Securities Regulators. However, Cronos told Marijuana Business Daily it plans to adopt such a policy at its annual general meeting this year. Another leader in the industry, Aurora Cannabis, boasts two women directors and a written statement regarding diversity. “The board recognizes that gender diversity is a significant aspect of board diversity and acknowledges the important role that women with appropriate and relevant skills and experience play in contributing to diversity of perspective and effectiveness in the boardroom,” the company noted in its regulatory filings. Fourteen of the 24 companies analyzed had no female directors. Cannabis license holders Aphria, Green Organic Dutchman Holdings, Hexo, Organigram and CannTrust nominated one woman apiece to their respective boards out of the 35 directors nominated. Hexo and Aphria are two of only a handful of cannabis companies on Canadian stock exchanges to address boardroom gender diversity in their regulatory filings. “The (human resource) & (corporate governance) committee will, within the purview of its mandate, have the responsibility to take gender into consideration as part of its overall recruitment and selection process in respect of the board,” the company stated. Companies that are more representative of their customer base will have an advantage in the market, according to Lifford Cannabis Solutions’ Campbell. “As we get to peak legalization when it’s very competitive and companies are fighting for shelf space, suppliers that reflect Canada’s diversity will have an advantage,” she said. Well, has there been any law or regulation that has prevented women from getting off their complaining butts and doing everything these “white men” have been doing? Getting sick and tired of hearing all the whining and bitching from women and some dolt men that women are oppressed, held down… there are a lot of successful women in this world who did not listen to that baloney and succeeded… and as far as I know lots of women involved in the marijuana business… maybe not in the board rooms of these puffed up public companies that will be having a reckoning soon, but who cares… if those women are successful in their own companies, which will probably have a better chance of succeeding than some of the big PUFFED UP monstrosities.